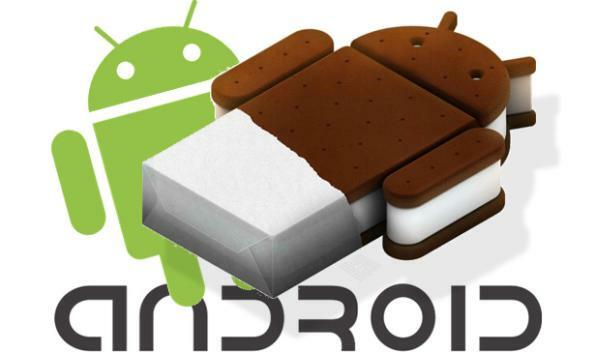 We have been reporting a lot recently of Android hardware being treated to the Jelly Bean update, but a lot of devices are still waiting to be upgraded to Ice Cream Sandwich with some handsets being left stuck on Gingerbread. Today we have news of the LG Spectrum Android ICS 4.0.4 OTA update, which brings some huge changes. It was a few months ago now since LG officially said that it would update the Spectrum to Android 4.0, but the months went by without any sign of the new software. Now though as Droid Life are reporting the Android 4.0.4 update has been approved by Verizon for release. There may have been many owners that have since ditched the device for something newer, but for those that didn’t this will be some welcome news. The carrier will be sending out notifications when the update is ready for individual users, and the update will be available as an over the air update. Otherwise you can try the update via the carrier’s servers using the update assistant tool on your computer, but many users prefer to upgrade their handset via an OTA update. Verizon have been busy with some updates as earlier today we told you about the LG Lucid was also getting a taste of Ice Cream Sandwich. The update for the LG Spectrum brings some new power saving modes, multi-tasking, lockscreen shortcuts, enhanced UI, quick settings via the notification pull down, improved notifications, data management, and the carriers own remote diagnostics tool. This software update will certainly give the handset a new lease of life despite the delay, and the file is 384MB in size so if you are downloading via the over the air update it is advised to be done via a secure Wi-Fi connection, and instructions can be found here. Has your LG spectrum received Android ICS yet? Go to settings and force a check for an update. Worked for me. I have it, at least I think I have it, but after downloading OTA and installing, the device has been hung on the opening screen, which says, 4G LTE, as before. Btw, it’s very hot at the moment. Guess I’ll restart it. Well after it was hung on the 4G LTE screen for about an hour, I forced it off and restarted it. After making the usual sounds it got back to that same screen and seemed to hang again. Every once in s while the “buttons” at the bottom of the screen go off or on and I once in a while I feel s haptic bump. Eventually although I had it on the charger the whole time I got a low batter warning of some sort. I left it all night but same problems this morning. It took 2 updates to get me to 4.0.4 and now my phone battery drains about 40% per hour (battery is empty after 2.5 hours). It runs hot as well. VZW is sending me out a “new” (i.e. reburb) phone that has ICS preloaded that they say will “fix” my problem. Can anyone point to somee actual reviews of the Spectrum with the ICS update? I was having problems with mine on a daily basis until the update. It took my phone 2daysto update and kept saying there was an error. I had to have verizon send me a new phone, only to get a refurbished one. After the second try it downloaded the new software update and now it wont send picture messages. The screen shot is a little harder to do now too. I truly HATE this phone. Never have I had so many problems with a verizon phone until I got this phone. I got my update last week. It took two times for it to finally update. On the first try it just failed. Later in the day, I was prompted again and it updated in about half an hour. The improvements are amazing, most noticiable is I can actually answer the phone without that stupid swipe mechanism, but I guess more importantly is the HUGH impovement in battery life. I absolutely love this update! Problems with muffled voice are gone. Talk to text now works great. Better layout of apps. Love the face recognition I had decided to ditch this phone asap but now i am very happy with it!! Hate it … touch one app to open something else opens. try to type phone number get too many numbers at once. battery life has gone to pot. I hate it .. the only good thing is the microphone texting works well. I recentely had it installed and now I can’t open emails…it shows I have them…does anyone know how to do that?